SET THIS DATE ASIDE for Paniolo Preservation Society’s next event – Saturday, January 19, 2019. Paniolo Preservation Seeks General Manager for the Paniolo Heritage Center at Pukalani Stables! APPLY NOW! 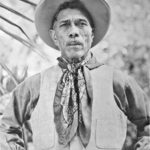 Cheyenne Frontier Days Old West Museum Celebrates the Hawaiian Cowboy! Paniolo Preservation Society to expand Heritage Center at Pukalani Stables in 2018. “Ranch Women of the Far West” – PPS Event, Saturday, Feb., 17, 2018 at Pukalani Stables. Paniolo Preservation Society tips our hat to one of the greats, Harold “Freddy” Rice. Holiday Hours at the Paniolo Heritage Center at Pukalani Stables! Friday, October 27th at Pukalani Stables. North Hawaii Rotary’s 18th Annual Oktoberfest!